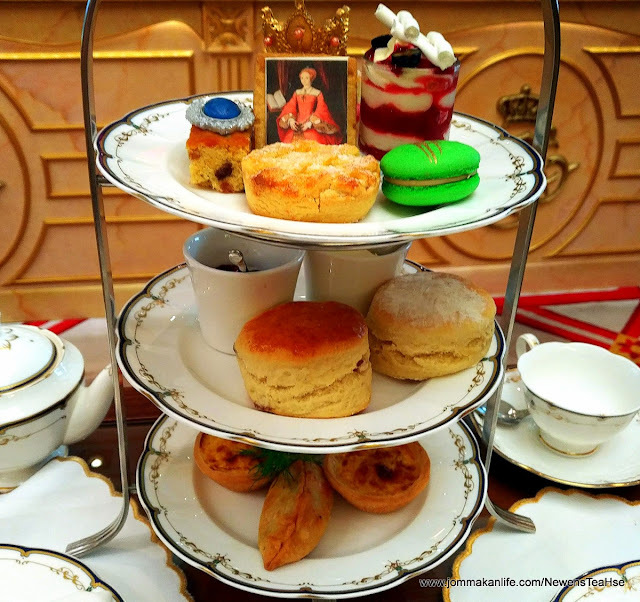 Fancy afternoon tea with Anne Boleyn-inspired treats in April? 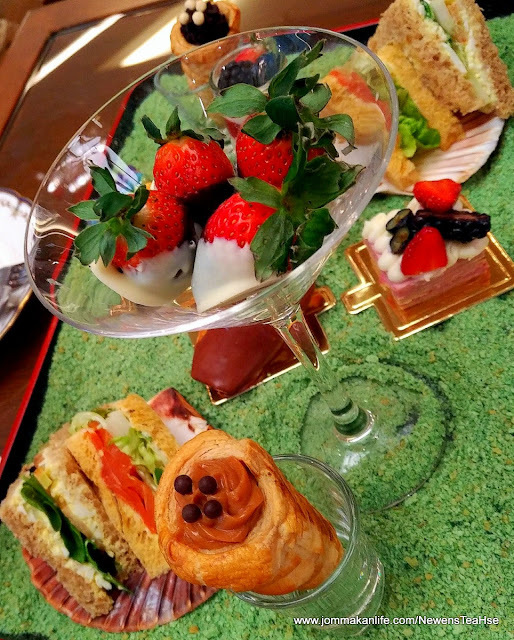 Perhaps you prefer to revel in a Joyous May Afternoon Tea? 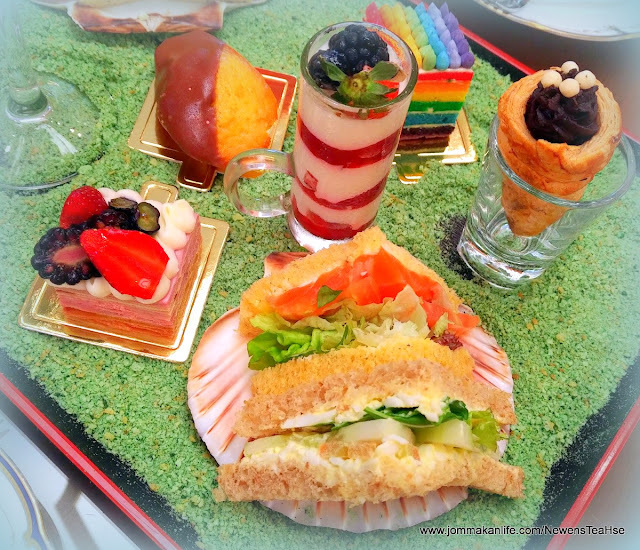 How about frolicking over Summer Holiday Afternoon Tea in June? 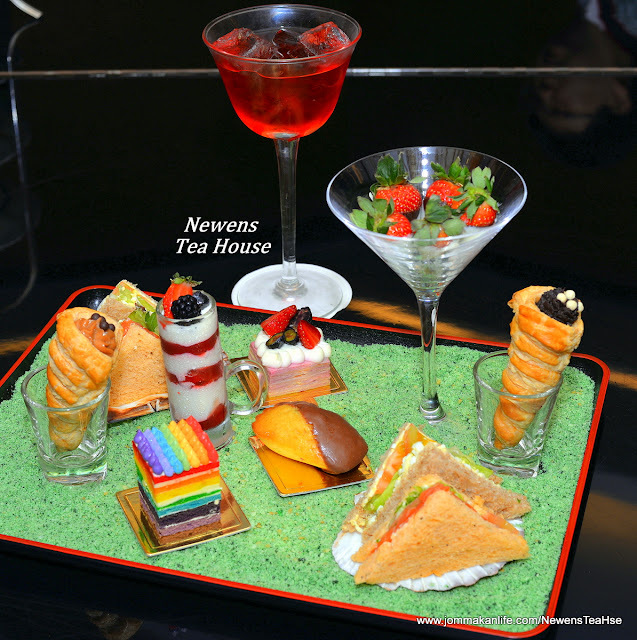 Newens Tea House will lay out these interesting afternoon tea themes so when you’re in the mood for some tête-à-tête, nip into Feast Village Starhill Gallery for a spot of tea. 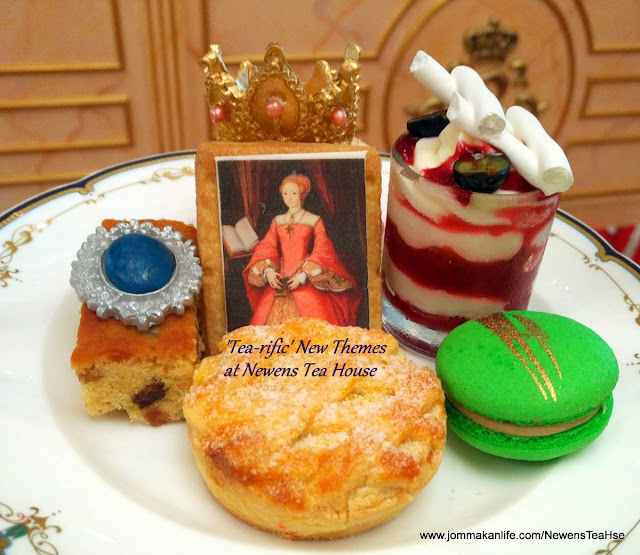 Inspired by the famous second wife of King Henry VIII and Queen of England in the 1530s, Newens will proffer free-flow of aromatic black STS Tea to complement the selection of typically English savouries and sweets. 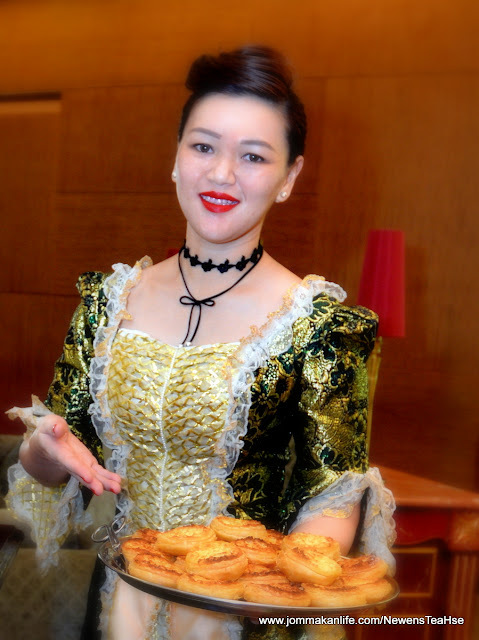 Besides the signature Maids of Honour Tarts, the set features tempting Mini Kew Pasty, Mini Chicken Pie, Mini Salmon and Onion Quiche. They pass muster although unlikely to create much of a ripple. 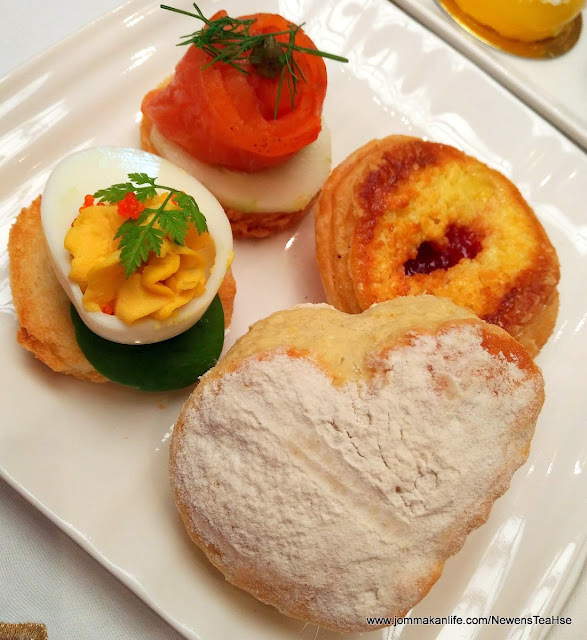 Ditto for the Scones served with Clotted Cream and Preserves. It was irksome when our request for more cream was dismissed outright, leaving our group to share the scant dollop. 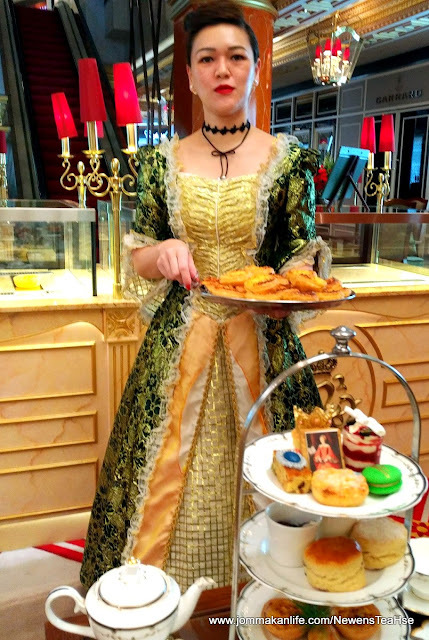 Nobody can begrudge the chefs due praise for their creative handiwork of a small Anne Boleyn portrait perched on the Shortbread Cookie. 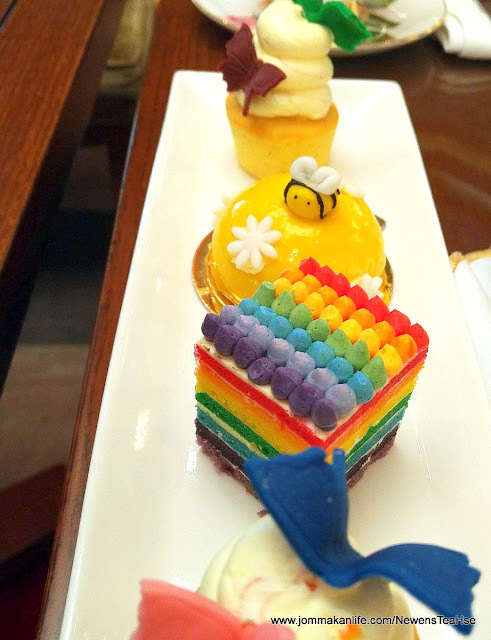 A solitary Earl Grey Macaron, a shot glass of English Trifle, Mini Apple Pie and English Fruit Cake complete the sweet array. 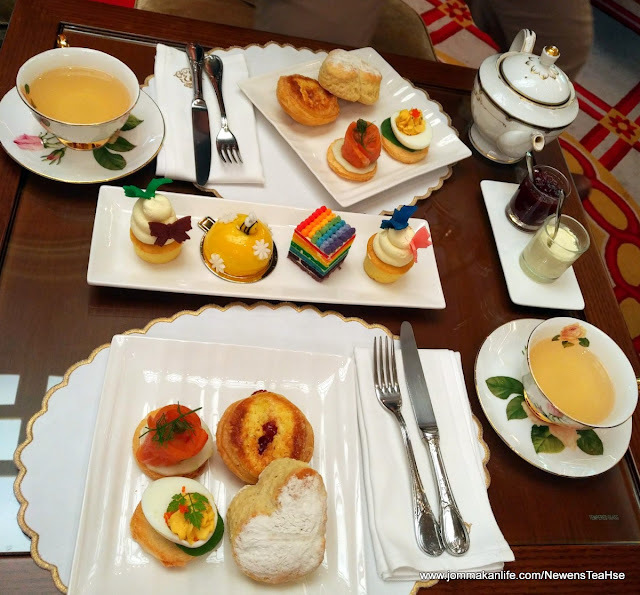 Heralding the merry month of May is Joyous May Afternoon Tea with a free-flow of aloe vera and tropical fruits infusion — enticingly called Life and Beauty Tea. 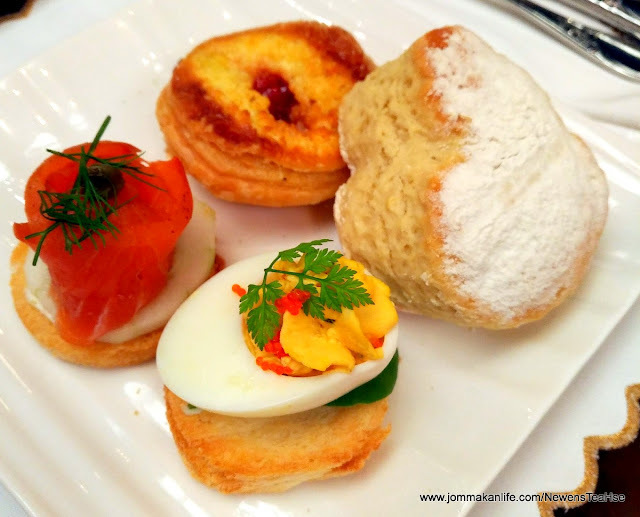 Picnic-worthy Open-Faced Salmon Rose, and Egg & Caviar Sandwiches partner ubiquitous Scones with Clotted Cream and Preserves in addition to Strawberry-flavoured Maids of Honour Tarts. 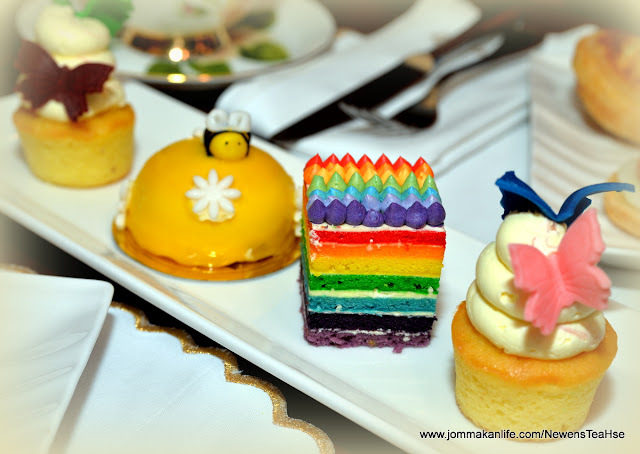 Sweet flirtations beckon with Apple and Hazelnut Cake interspersed with dainty portions of Vanilla Cupcakes and Rainbow Cake. 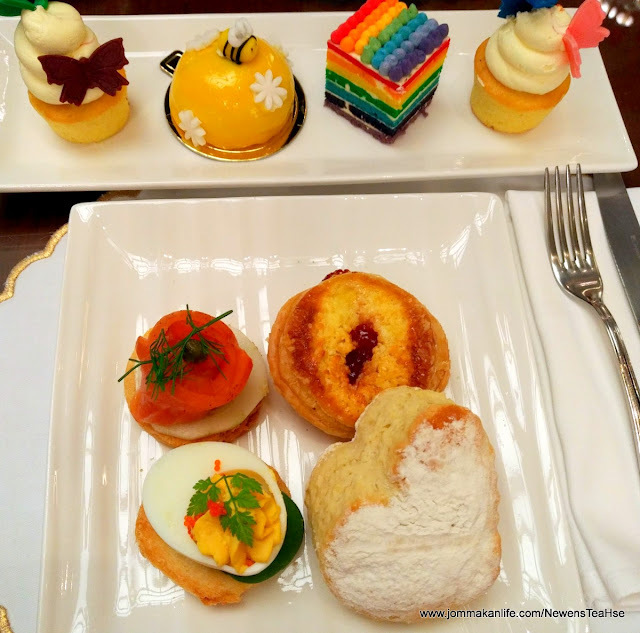 To welcome the summer season in June, the Summer Holiday Afternoon Tea with free flow of Iced Fruits of Paradise Tea flavoured with mango, pineapple and papaya will make its appearance. 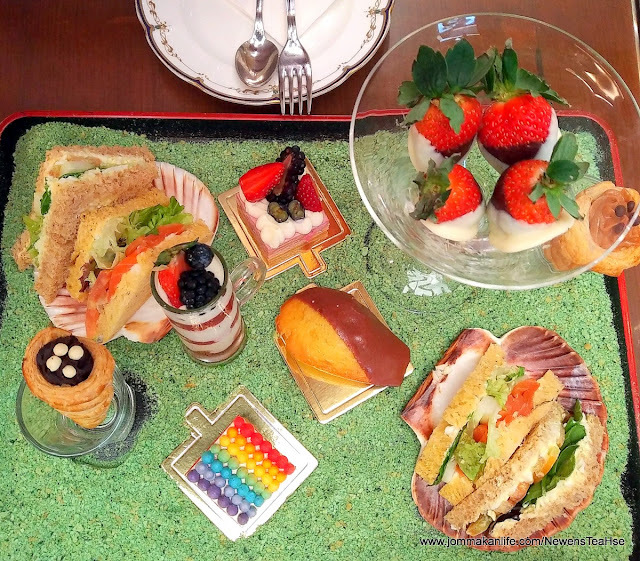 Nibbles consist of Assorted Homemade Sandwiches, Chocolate-dipped Fresh Strawberries, Mixed Berries Crepes, Panna Cotta, Cream Horn, Madeline and Rainbow Cake. 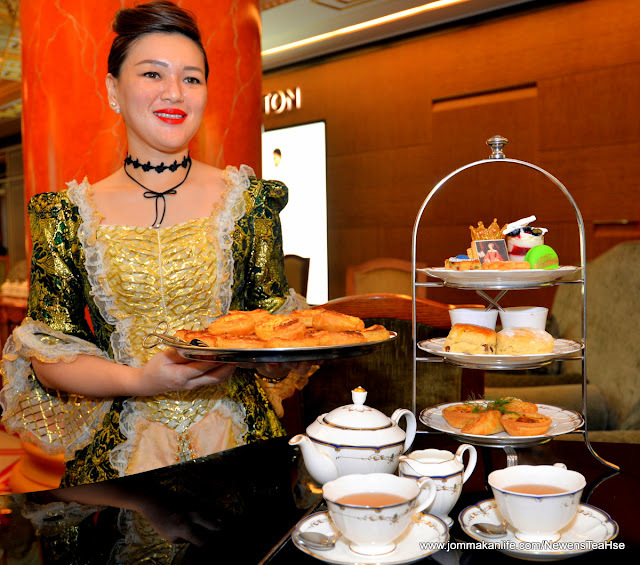 The thematic tea experiences are available throughout each respective month from 2.30pm to 5.30pm daily at RM150 nett per set for two persons.